Bonds direct and indirect composite restorations to all tooth surfaces. Permanently seals the tubules to prevent sensitivity. Tried & true—the easy-to-use, high-strength bonding agent that protects and desensitizes! Reduce your chairside time and simplify that growing collection of adhesives in your operatory with Parkell’s remarkably efficient self-etch bonding system, Brush&Bond®. It works with all light-, self- and dual-cure resins—something not every self-etch bonding material can lay claim to. You can use it to bond direct and indirect restorations to all tooth surfaces, seal crown preps, assist with core build-ups, and act as a relief agent for patients with dentin hypersensitivity. Permanently seals tubules to prevent post-op sensitivity. Guards pulp against harmful pathogens that penetrate leaky margins. Increases the hardness of the dentinal surface up to 10 times more than dentin coated with conventional bonding agents! The film thickness of some self-etch adhesives can measure as much as 50 microns thick. An application of Brush&Bond creates a film just 5 microns thick, so it has no adverse effects on final crown fit at all! 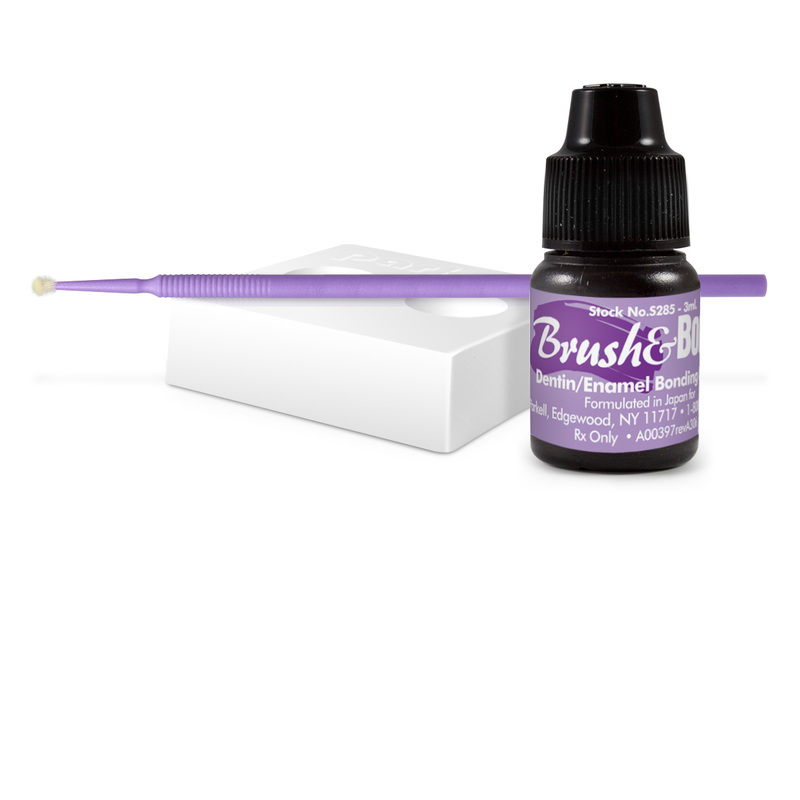 Our Mini/Endo B&B Activator Brushes open up a whole new realm of possibilities for our popular Brush&Bond Bonding System. They feature tinier bristles and a longer, narrower activator brush head than our Standard Activator Brushes. This unique design allows the brushes to get deep into post holes, pedo preps and tiny enamel pits with utmost ease. 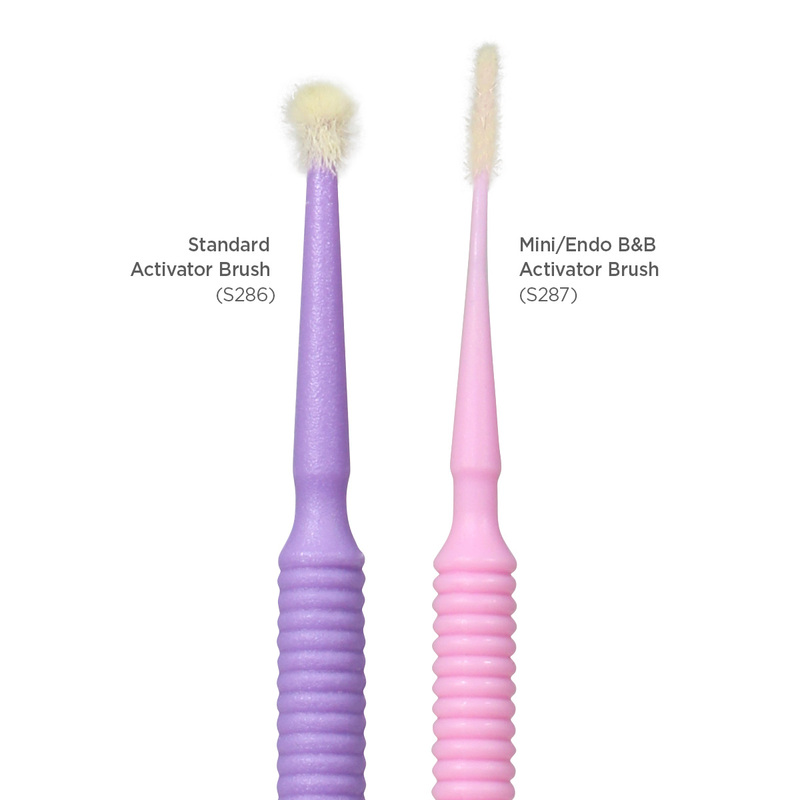 Each Mini/Endo B&B Activator Brush is specially treated with a chemical activator to enhance Brush&Bond’s self-etching chemistry and assure complete bonding to all resin cements. Plus, they’re conveniently disposable.